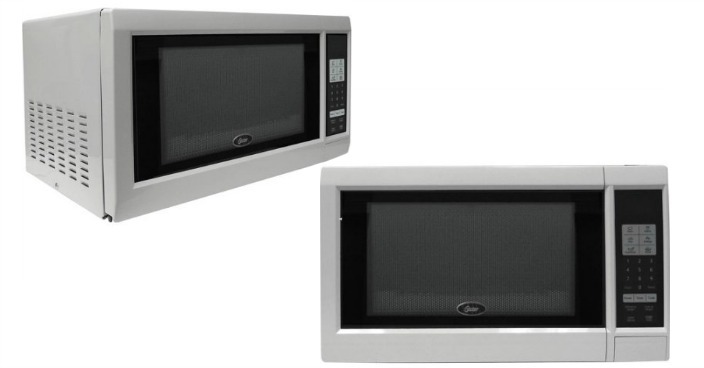 Oster 0.9-Cubic Foot Microwave Oven Just $54! Down From $124! You are here: Home / Great Deals / Oster 0.9-Cubic Foot Microwave Oven Just $54! Down From $124! Right now you can get this Oster 0.9-Cubic Foot Microwave Oven for just $54 (Reg. $124) at Walmart! The Oster 0.9-cu ft Microwave Oven features a one touch menu for potatoes, popcorn, pizza, beverages, frozen dinners and reheating your food. Some of its other features include express cooking, weight defrost, a child-safety lock and a cook end signal. The Oster microwave oven will be a convenient addition to your kitchen appliances.